Try stress reduction to improve your quality of life and potentially relieve allergy symptoms. Spring allergies are a stressful business. 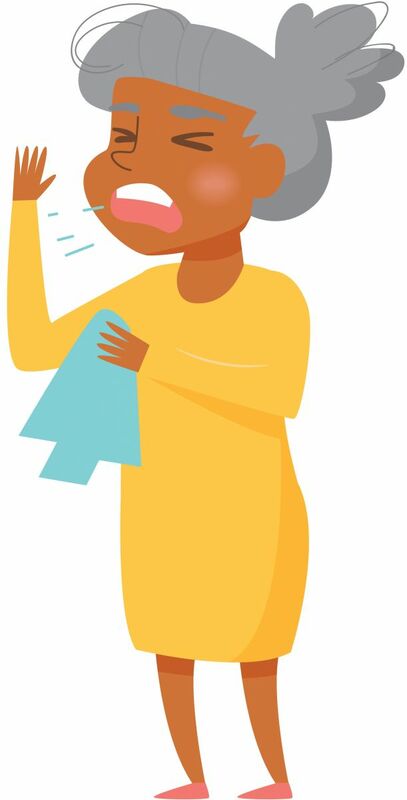 Coping with watery eyes, a runny nose, sneezing, coughing, or a sore throat affects how you get through each day. "The primary consequence is a reduced quality of life. This naturally can lead to stress on patients and their families," says Dr. Ahmad Sedaghat, an ear, nose, and throat specialist at Harvard-affiliated Massachusetts Eye and Ear Infirmary. The influence goes both ways: not only can allergies cause stress, but stress can make allergies worse. The gooey mess of allergies is the result of an overactive immune system — one that reacts against harmless foreign substances, like tree or plant pollen, as if they were a dangerous threat. The substances that provoke allergies are called allergens. If you have allergies, when you breathe in tiny pollen particles or other allergens, immune system cells in the nose release chemicals that trigger allergy symptoms and recruit more immune system cells to fight. The bigger the battle that your immune system wages, the worse you'll feel. Feeling stressed for any reason can also affect allergies. One effect is psychological. Stress amplifies our emotional reaction to any symptoms we are having. Dr. Sedaghat says stress can intensify how bothered you are by your allergy symptoms. "When people are under stress, they can feel as if nothing is going well, including their health," explains Dr. Sedaghat. The other effect of stress on allergies is physical. "Stress can make the allergic response worse," says Dr. Sedaghat. "We don't know why exactly, but we think stress hormones can ramp up the already exaggerated immune system response to allergens." In other words, if you're feeling stressed for any reason, you may find yourself dealing with worse allergy symptoms than usual. Why is stress so physical? The stress response is the body's way of keeping us safe. When the brain senses danger, it alerts the adrenal glands to release stress hormones. That causes your heart to pound, blood pressure to rise, and blood vessels to constrict to send more blood to your brain and muscles. Stress makes your breath quicken to get oxygen to your muscles, and sends fat and sugar into the bloodstream to boost your energy. The stress response is helpful in the short term; it enables you to get through a difficult situation. But if you trigger the stress response repeatedly, then over time it can contribute to depression, anxiety, high blood pressure, diabetes, heart disease, heartburn, and many other health problems—including worse allergies. Allergy treatment typically involves using an over-the-counter corticosteroid nasal spray, such as mometasone furoate (Nasonex) or fluticasone propionate (Flonase). The sprays help shut off the flow of inflammatory chemicals that trigger allergy symptoms. Symptoms should start to improve with a week of daily use, but it may take three weeks before the sprays show full benefit. Another common type of allergy medication is an antihistamine. It counteracts the effects of histamine, a body chemical involved in allergic reactions. But some antihistamines — such as diphenhydramine (Benadryl) — can cause drowsiness and increase the risk of falls. Dr. Sedaghat says the safest antihistamine options for older adults are prescription antihistamine sprays, such as azelastine (Astelin) and olopatadine (Patanase). These may help prevent symptoms while minimizing drowsiness. To prevent watery eyes, Dr. Sedaghat recommends antihistamine eyedrops, such as ketotifen (Zaditor), available over the counter, and olopatadine (Patanol), available by prescription. Allergy management should also include strategies to avoid exposure to pollen. This can include keeping windows closed, wearing a mask for yard work, avoiding going outside when pollen levels are high, and cleaning air conditioning ducts and filters. Another important tool: stress reduction. "When you reduce stress levels and psychological stressors, you'll feel like your quality of life has improved beyond just simply treating the allergies," Dr. Sedaghat says. "It's not clear yet that stress reduction can directly reduce physical allergy symptoms, but there seems to be a mind-body connection when it comes to inflammatory diseases. So if you reduce stress, we would expect that stress hormone levels would go down, and the allergic overdrive to therefore go down as well," Dr. Sedaghat says. You can reduce stress with exercise — the kind that gets your heart and lungs pumping — and by eliciting the relaxation response, a well-studied physiological change that can help lower your blood pressure, heart rate, breathing rate, oxygen consumption, adrenaline levels, and levels of the stress hormone cortisol. There are many ways to elicit the relaxation response, such as meditation, guided imagery, yoga, tai chi, and deep breathing exercises. For more information, check the Harvard Special Health Report Stress Management (www.health.harvard.edu/sc). Dr. Sedaghat says stress reduction isn't the No. 1 way to treat allergies, but it may still be an important one. "Think about stress as a contributing factor of your disease," he says. "In that sense, it's important to find ways to alleviate psychological stressors to treat allergies." Ask the doctor: What can be done about a lump in the back of the throat?